This handy pocket guide answers the most pressing questions artists and designers will have when setting up an art practice or creative business. Many visual artists who graduate from art school need to learn how to be self-employed or form a company. This book presents 100 useful business related things (explained in 250 words or less) that any creative should know. 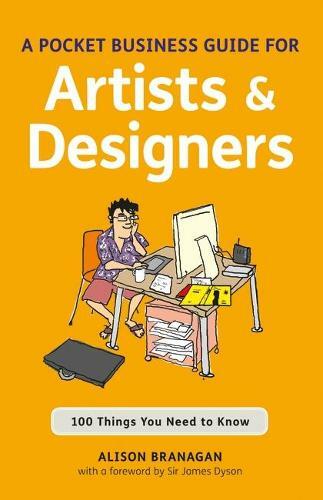 The book is divided into five sections that will help artists and designers achieve success and make money from their work: business, promotion, legal, money and last thoughts. This essential resource is packed with invaluable information for all creative practitioners.